USANA Health Sciences formally launched its Team USANA Pilipinas, a roster of Filipino athletes who have been using USANA’s supplements and are part of the company’s global Athlete Program. 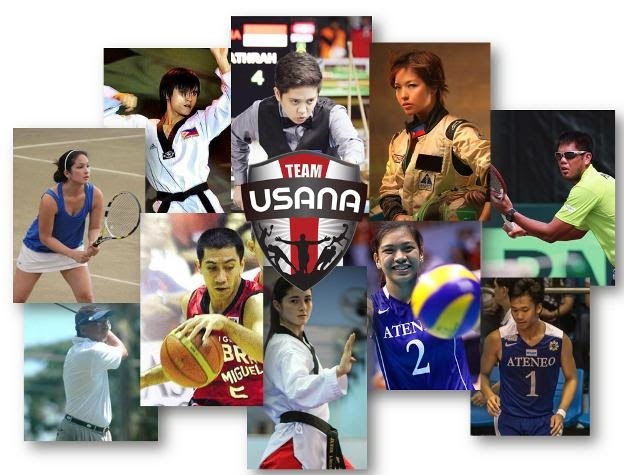 The 10 chosen Filipino athletes who comprise Team USANA Pilipinas are: Bing Amit (billiards), Abe Avena (golf), Gaby Dela Merced (car racing), Neil Flores (volleyball), Janice Lagman (taekwondo), Japoy Lizardo (taekwondo), Tin Patrimonio (tennis), LA Tenorio (basketball), PJ Tierro (tennis), and Alyssa Valdez (volleyball). Their acceptance into the USANA Athlete Program entitles them to benefit from increased strength, stamina and endurance which the World-renowned members of USANA’s Athlete Program are enjoying. They join the ranks of world-class sports enthuasiasts that include Olympic gold medalist Tyler McGill (swimming), Olympic gold medalist Meaghan Mikkelson (hockey), and former WBO welterweight champion Timothy Bradley (boxing), among others. USANA’s Athlete Program is the company’s way to boost the athleticism of teams and individuals worldwide while simultaneously inspiring everyone to pursue and sustain good health. USANA Health Sciences (NYSE: USNA) is a U.S.-based nutritional company that manufactures high-quality supplements and personal care, energy and weight-management products in its FDA-registered facility in Salt Lake City. USANA's products, tested by NSF International and used by more than 600 professional athletes, are developed by the company's award-winning team of scientists and sold directly to Preferred Customers and Associates in 18 international markets. Visit www.USANA.com to learn more about USANA. Like them on facebook (www.facebook.com/USANAhealthsciences), or follow USANA on Twitter (@USANAinc) for updates.